Here at Spring Farm Alpacas, we pride ourselves on our alpacas, alpaca husbandry, facilities and most importantly back up. We can help you in all stages of our alpaca experience from first thoughts of ownership to delivery of your alpacas and then support you as you build up your experience. We asked some of the people who have bought alpacas from us or have attended a husbandry day here to say a few words about us, our alpacas and our ongoing help and support. They are listed below in no particular order. If you are considering alpaca ownership, we will give you full frank advice from the outset and offer you a level of service without peer from day one. We are sometimes asked how we can let our alpacas go…in short, by making sure prospective owners know what is involved in alpaca ownership and having given them the best possible tuition in alpaca husbandry and ongoing support. That way we know our alpacas are going to enjoy their new home and their new owners are confident they have made the right choice. 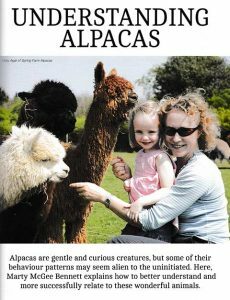 “We had thought about purchasing alpacas for our smallholding for some time and first met Vicky & Chris when we attended an alpaca training day at Spring Farm which was extremely informative and it was this experience and seeing how they genuinely care for each and every one of their alpacas, which led us to purchase from them. When we approached them to express a serious interest, the help we received was fantastic.. We weren’t rushed into making decisions and were able to discuss all the options available to us. We were invited to a hands-on husbandry day to learn about all aspects of care. “Our alpacas have been kept at Spring Farm for the last three years and we count ourselves lucky to have them under the competent and caring eyes of Vicki and Chris Agar. The alpacas receive the best possible care, with regular foot-trimming, worming and vaccinations, all carefully recorded. They are regularly weighed so that feeding can be adjusted and any problems picked up early. The alpacas have ample grazing in clean, secure pastures with good shelter. They are checked twice a day, and females nearing their birth date are brought close to the yard and are closely watched.